New iOS 10 users can be experience or try one of the best new features for apple music, Show/ Hide apple music songs in iPhone/ iPad running on iOS 10. So, every music enthusiastic has an always queried about what to if all apple music (For You) suddenly gone or disappeared, or wants that deliberately. Yes, you can do it with below guide on disappeared apple music premium song from music app without close subscription for temporary or all the time. Its good option gives apple to hide songs from apple music app, Because After do it we can still use apple music all songs from saved in playlist, iCloud music library in our Mac devices (MacBook, iMac, MacMini). Step 1: Go to the Settings app on iPhone/ iPad. Step 3: Then, Enable Show Apple Music toggle. relaunch Apple music app, Check it. Enable iCloud music library, iCloud music library store all information related to apple music like Created playlists, Bookmarked or Saved songs for play on all other apple Device connected under the same apple ID. 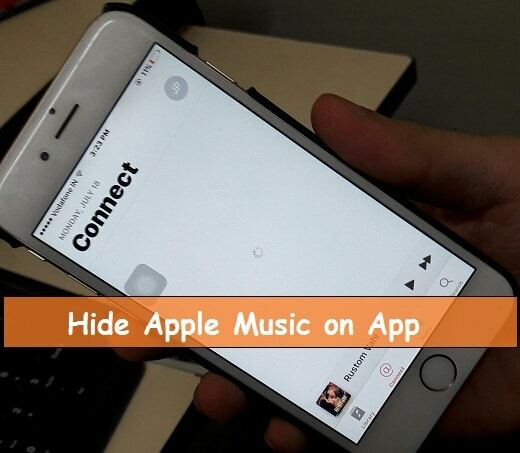 Want to hide all music collection across the entire devices disable it. Go to the Settings > Music > iCloud Music Library (Disable toggle). After Re-Enabled you will get back all apple music features to our music app on iPhone/ iPad. You apple music app is showing wrong behavior after Enable/ Disable settings. Restart (Press/ Hold Sleep wake button) your iOS device or Force Restart (Press/ Hold Sleep Wake button and Home button continuously until you show apple logo on screen). Next recheck, now your apple music should be hidden. 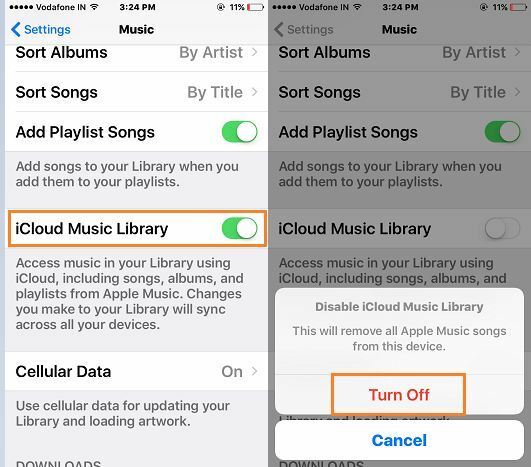 Note related apple music: Remove or Delete all apple music songs downloaded on device, Optimize apple music in new option in settings app. Go to the Settings > Music > Optimize Storage > Enable and See over limit. For more helping tutorial and guide on Show/ Hide Apple Music songs in iPhone, iPad running on iOS 10.